The third and final installment in the Last Warrior of Unigaea Trilogy! Following his massive personal loss in the second book, Oric Rune reaches the city of Tael to join Lothar and Sam Raid. Battered and bruised, but not yet ready to give up on his quest to save Unigaea, Oric and company set off for Tagvornin to address the Red Plague. With a newfound mission, and time running out as the Red Plague continues to spread, the moment for Oric to make his mark on Unigaea is now. But will he be able to? And is it even possible? 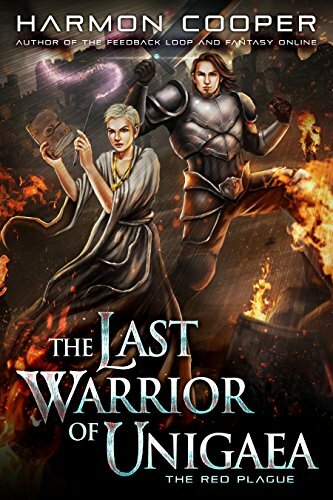 Tight, brutal, and incredibly intense, the final installment in the Last Warrior Trilogy has all the electrifying gamer action, tongue-in-cheek humor, emotion, and plot twists that have made this an Amazon best-selling series.